Genuine Samsung toner provides crisp details and vibrant print output in your Samsung ML-3712ND, ML-3712DW, SCX-5639FR and SCX-5739FW. Even small printed text is clear and legible. 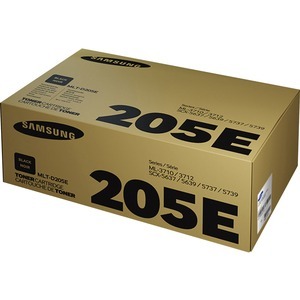 Always use Original Samsung Toner and avoid risks of printer damage or problems. Extra high-yield cartridge yields approximately 10,000 pages.